Actinostrobus arenarius, first described in 1964 by Charles Austin Gardner (1896 - 1970), is commonly known as Bruce cypress-pine or Tamin. Description. 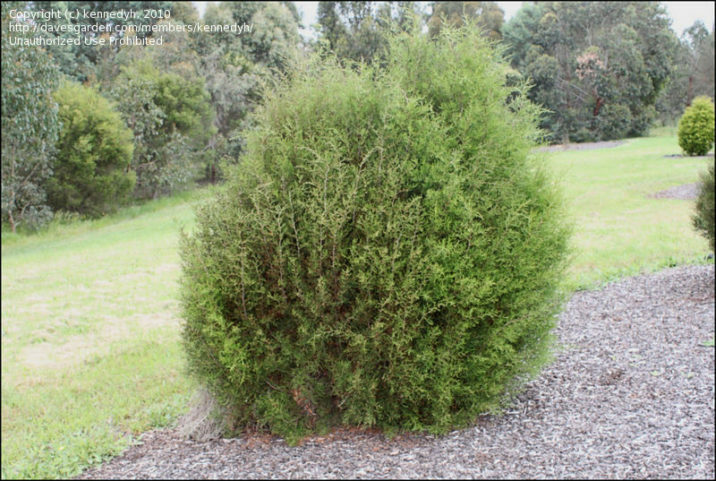 Bruce cypress-pine is an evergreen coniferous species of shrub or small tree which will grow to mature heights of 15 feet (5 m) tall. Branches are spreading; branchlets short and nearly triangular in the cross-section. Juvenile leaves glaucous. Adult leaves in grow in bundles of three. They are ovate, acute, spreading, loosely imbricate, scale-like, slightly keeled, to 0.48 inch (12 mm) long, and glaucous or grey-green in color. Pollen cones are cylindrical, 0.12 to 0.4 inch (3 - 5 mm) long, 0.06 to 0.08 inch (1.5 - 2 mm) in diameter, with 16 to 18 ovate or rounded scales narrowing to a point in the center. 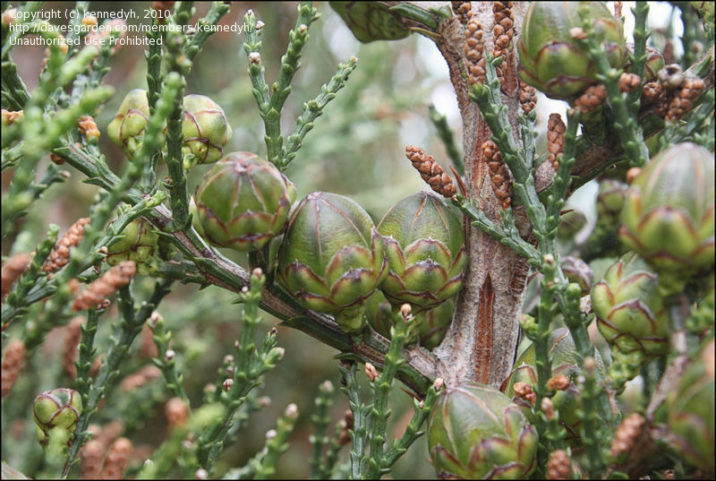 Seed cones are globular-conical, acute, 0.6 to 0.8 inch (15 - 20 mm) long and wide, glaucous when young. Winged seeds are tan or yellowish-brown, 0.24 to 0.44 inch (6 - 11 mm) long. Distribution. This species is native to Australia — endemic and locally abundant in sandy soil or sandplain, from around Shark Bay south to the Wongan Hills district in southwestern Western Australia.